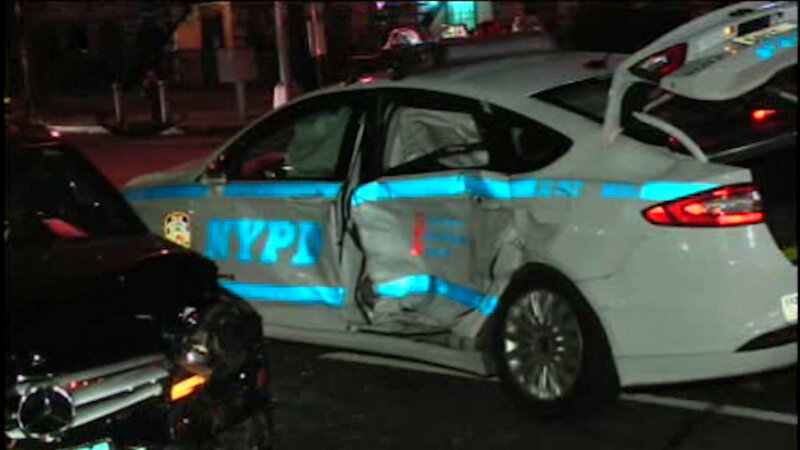 HARLEM (WABC) -- A three-car crash in Harlem involved an NYPD vehicle on Monday night. It happened after 9 p.m. at Frederick Douglass Boulevard and West 138th Street. Two officers were taken to Harlem Hospital with non-life threatening injuries. The drivers of the two other cars are also in stable condition.